Even more interesting is the focal point of these pictures. 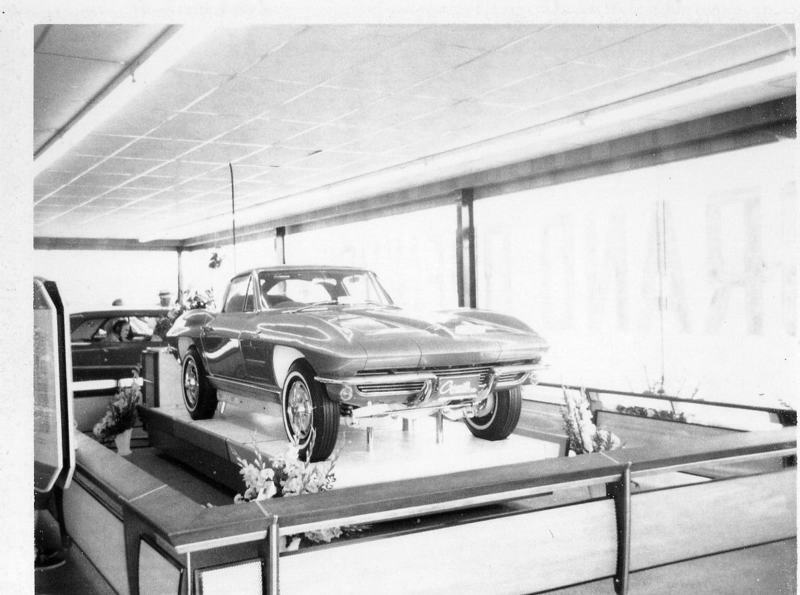 That ’63 Corvette display was made by “Chevrolet Show and Display” in Detroit. They made most of the big auto show displays, as well as the smaller touring displays like this one. With the budget and talent they had there at the time, the only thing that really limited what could be done was the imagination. Obviously, the point of this one is that the body lifts off, revealing all the exciting innards of the all-new ’63 Corvette. And really, with the new independent rear suspension, aluminum wheels, and all the state-of-the-art technology that went into that car, it really was a sight to behold. This was obviously a pretty big deal, because they had multiple engine displays and other cool attractions around the dealership as well. 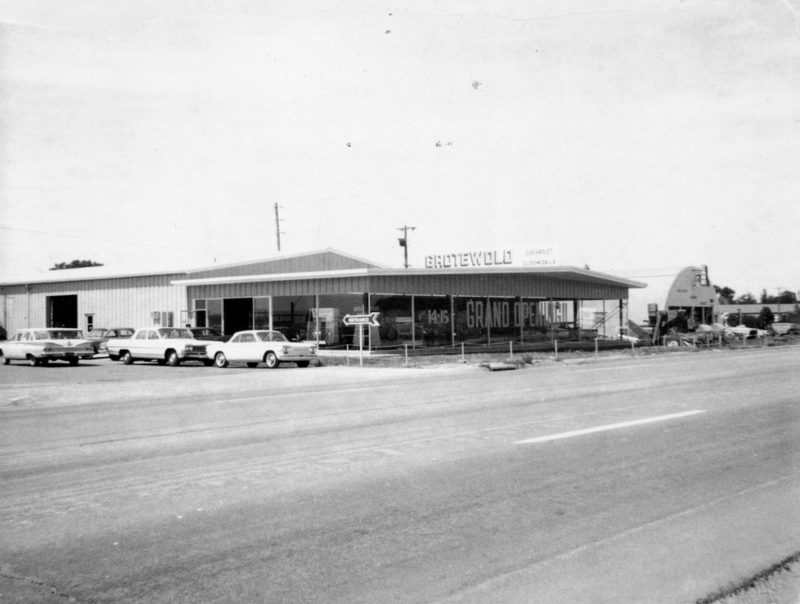 What’s more, this type of dealership was sprouting up all over the country. 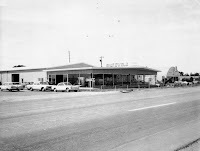 That shape and style of building was as synonymous with Chevrolet as the shape of a McDonald’s building is the same with most McDonald’s restaurants today. Here’s another fun little side note. 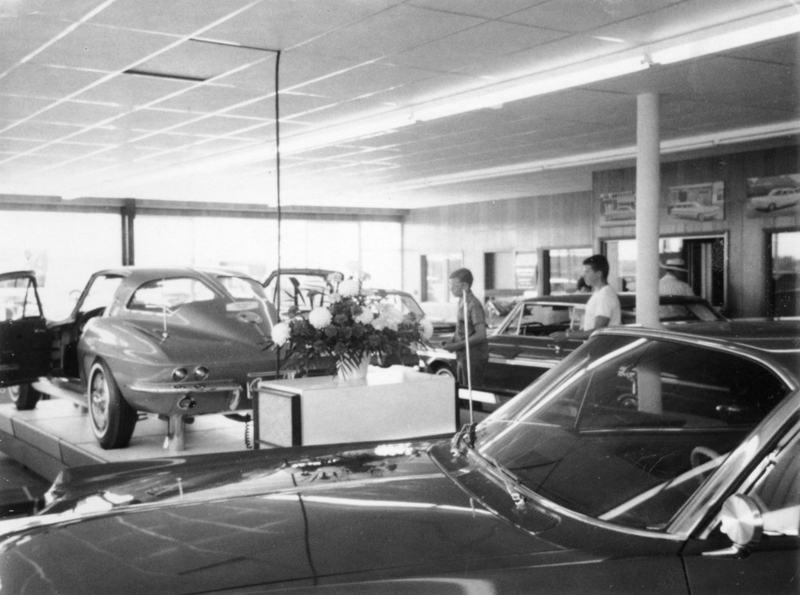 These pictures were posted awhile back on the Hemmings Motor News blog, and writer Daniel Strohl noted that a similar display of a 1965 Corvette sold at a RM Auction for $704,000. The auction bill would have led you to believe that the ’65 was the only one of these made, but, as the new owner discovered after looking at these pictures, a ’63 did indeed exist. I wonder if this one is hiding someplace ready for a collector to pay nearly three-quarters of a million dollars as well. Or did the display suffer the same fate that these pictures nearly did? 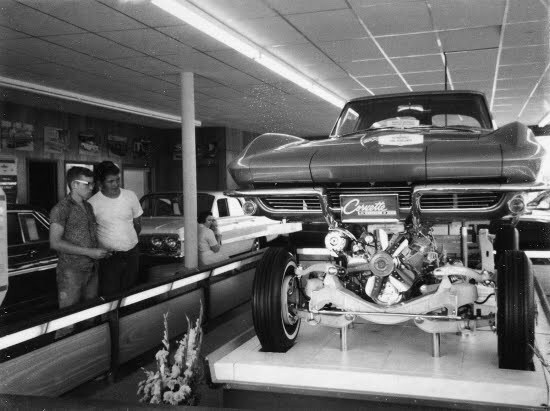 Anyway, please enjoy the photo slide show of the 1963 Grotewold Chevrolet grand opening, including this fascinating Corvette display. I don’t know about you, but it makes me want to go back in time and look at it just as it was.